Thankfully, when our oldest daughter went off to college, she initially won a ton of scholarships. She’ll turn 20 in a few months and has wrapped up her sophomore year at the University of Texas at Austin, where she’ll be a college junior in the fall. Meantime, our 17-year-old son will be entering his senior year of high school and so college is just a year away for him. While upfront college expenses, like tuition, fees, room and board can be expensive in their own right, we also know that college can bring a slew of additional bills too. 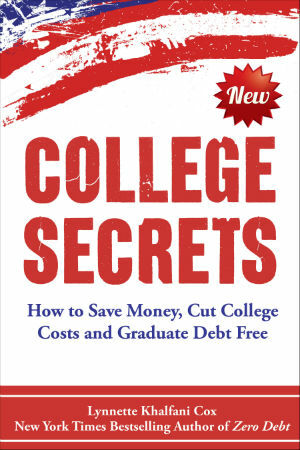 But parents and students can really run into financial trouble if they don’t know about – or aren’t prepared to pay – a host of hidden college expenses. So here are four hidden college costs that every parent and student should know. Being aware of these little-known college costs can help you better budget, save money, and even protect the investment you make in your child’s education. Theses days, it’s often a horrible idea to have a car on a college campus – mainly because it’ll be a huge money drainer for those on a tight budget. The average American college rakes in a total of $4 million to $5 million in annual parking revenues, according to the most recent rate study from the National Parking Association (NPA). That’s because the typical four-year college or university in the U.S. charges about $635 per space for the school year, the NPA has found. Some institutions charge three times that amount – like Boston University, where parking fees currently cost as much as $1,905.50 per academic year (i.e. 9 months) for students living on campus with a car. Instead of paying big parking fees, leave the car at home and use other options, such as biking (which is what my daughter does), mass transit, carpooling or car-sharing services like Zipcar or UHaulCarShare. I’m hoping my son will enter college having received generous merit-based scholarships like his older sister did, because (depending on the school he attends) our family may not qualify for much, if any, need-based college financial aid. But I know plenty of solidly middle-class and well-to-do families where the students didn’t get scholarships and the parents had to pay full sticker price for a prestigious college – or at least a very sizable chunk of college costs. Some parents write a check out of their savings; others take out student loans to cover expenses. Regardless of how you’ll pay college costs, if you’re footing a large tuition or housing bill for your child, tuition insurance could come in handy and give you financial peace of mind. This is especially true if your son or daughter attends a private school, where the average total cost of attendance now tops $45,000 annually, according to data from the College Board. At Ivy League schools and other elite colleges and universities, tuition, fees, room and board can range from $40,000 to as much as $70,000 a year. That’s a lot of money to shell out. So tuition insurance is designed to protect your investment – by reimbursing you for tuition, housing and other fees in the event your child has to withdraw from college due to serious illness, injury, mental health disorder or other reasons, such as pre-existing conditions. 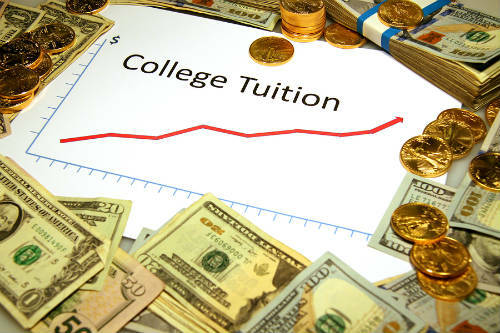 The cost of tuition insurance is usually about $100 to $1,500, or roughly 1% to 5% of the face value of the coverage. Although tuition insurance can be a good form of financial protection for families that need it, most parents aren’t even aware that it exists. In other cases, it’s one of those expenses that many families usually don’t think about until right before a parent is about to write a check or pay for tuition costs. If you have a child heading to college, evaluate whether tuition insurance is right for your family’s circumstances. Start by finding out what kind of refund, if any, you’d get from your child’s campus if he/she withdrew from school. Then consult with a reputable insurer like Allianz Tuition Insurance. Allianz has three different tuition insurance plans, including a low-cost option for just $29.95 per academic term. Colleges and universities love to tell you about how many clubs and activities are on campus. In fact, they encourage students to take advantage of these opportunities – especially joining fraternities or sororities. But what school officials almost never disclose upfront is the high cost of pledging. So it often shocks many students and parents to learn that “Going Greek” is very expensive: on the order of $1,000 to as much as $5,000 annually at some campuses. There are tons of fees when you join a sorority or fraternity, such as registration fees, recruitment fees, chapter fees, national fees, and new member fees. You’ll also pay a laundry list of other expenses, including tickets and suits or fancy dresses for formal events; t-shirts for “themed” events; travel costs to go do charity work – not to mention the cost of food and housing if you live in a sorority or frat house. Lastly, don’t forget about charitable contributions that may be expected of you when you join a Greek letter organization. If you can’t afford to buy fancy gowns or high-end dresses for rush and formals, rent that attire from places like Rent the Runway, which offers upscale dresses and special occasion attire for a fraction of what you’d pay to purchase those items. You can also borrow something dressy from a friend, or apply for scholarships that are available from most fraternities and sororities. Once college seniors have taken their final exams, written those last essays and finished all their class assignments, they might think they’re completely done paying college fees. Wrong! Nationwide, graduation fees are typically $50 to $100, but they can be all over the place. As you can see, Thomas Edison State College charges graduation fees that are five times of those at Rowan University. Schools say these fees cover the printing of diplomas, cap and gown rentals, or the cost of the school performing administrative tasks tied to a graduation application, like verifying that a student has met all the requirements of graduation. However, most families feel like graduation fees are just one final “exit tax” – yet another hidden fee as students finally wind down their college careers. Ask your school if there are any graduation-fee waivers available, allowing you to bypass graduation fees. This might be the case, especially for students who aren’t taking part in formal commencement exercises. At least by knowing some of these hidden college fees at the outset of a four-year education, you can plan accordingly, budget wisely and in some cases, lower or even eliminate these costs too.